If you are struggling with a substance abuse problem and need help, a residential treatment center is often the best solution. Inpatient treatment allows you to recover in a safe environment, free from outside distractions. You will have the opportunity to learn tools and strategies to help you deal with cravings, and to learn life skills that will help you cope with life on life's terms. A lack of spiritual connection may alternatively be thought of as a cause or a symptom of addiction. It's true that for those in the midst of the struggle, the feelings of loneliness, disconnection and desperation can make recovery seem impossible. You may be feeling alone, ashamed and desperate. For many people, the solution lies in uncovering and nurturing a spiritual connection that builds faith and offers solutions through a closer connection with that faith. A Christian rehab center is an ideal way to achieve this. Christian rehab centers offer the best of evidence-based addiction treatment while nurturing the spirit. Many are twelve step based, and offer a combination of clinical and spiritual counseling which may include one-on-one sessions with on-site clergy, bible study and prayer groups and weekly church services as well as topic-based group counseling, substance abuse education and twelve step meetings. Most people who face substance abuse problems will also find themselves feeling guilt and shame, but for those of faith, these powerful feelings are often magnified. Many will feel abandoned, unworthy and unable to access or draw comfort from their faith. This is not only an addiction crisis, but also a crisis of faith. By getting help from a rehab with a strong Christian message to share, and counselors who understand and can offer support and guidance from a Christian perspective. 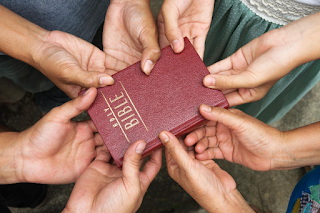 Some people may wonder if a Christian rehab offers the same benefits as a non-secular rehab. The answer is yes. These are credentialed, professional facilities. Staff members are certified and knowledgeable about addiction and treatment practices. What you get with a Christian rehab is quality care that also offers faith-based teachings, support and practices. For many people who have struggled with addiction, their faith and Christian beliefs are integral to their recovery. Not only that, but the support they gain from a Christian fellowship that understands their struggles is an invaluable source of support they are able to draw on. Another advantage to Christian rehab centers is that they don't just treat the addiction, they treat the whole person. More and more, addiction professionals are realizing the addiction isn't just about the lack of ability to stop using drugs. There are underlying issues and crisis that must be addressed in order for recovery to take place. People have needs for fulfillment and connection, and many turn to substance abuse to fill their need to belong, to fit in and to be a part of something. They also turn to substance abuse to cover up pain, or to help them cope with the feelings of loneliness, anxiety and depression that they feel. Christian rehab centers offer a more holistic treatment that addresses these often overlooked issues that can keep people from achieving sobriety in the long term. If you are seeking relief from active addiction, a Christian rehab center may be the solution you need. It's important to understand that Christian rehab isn't something that should be forced on someone who doesn't want it. While there are other options that can be explored, many people have finally found the help and healing they need through Christian rehab. This is a blog post by Joyce Kim. Today more Americans are seeking out mental health treatment centers than ever before. While many people still cite the cost of treatment, as well as lack of insurance, as barriers to seeking help, they note the stigma which used to surround mental health treatment is less of an obstacle than it once was. Young people have more accepting views of mental health than older adults. In fact, a 2015 Harris Poll showed the majority of adults aged 18 to 25 viewed seeing a mental health professional as a sign of strength, not weakness. When it comes to college students, their rates of anxiety and depression have soared in the past decade. Nearly 65% percent of those surveyed in the Harris Poll said they believe they have, or had, suffered from a mental illness. Students have more of an awareness to their problems because mental illness is discussed more openly today. Schools often address the problem, providing counseling and courses for treatment. This year nearly half of all American households will have someone seek mental health treatment. The APA's Practice Directorate conducted a telephone survey of 1,000 randomly selected Americans between the ages of 18 and 64 and those Americans agreed the stigma about seeking mental health treatment is becoming less of an obstacle to getting treatment. In fact, 91% of those polled said they wouldn’t hesitate to consult or recommend mental health treatment if they or a family member needed it. The Practice Directorate conducts this poll every few years to gauge public sentiment regarding mental health care. Nearly everyone surveyed, 97%, said they considered access to mental health treatment centers "important”. Only 30% of those surveyed said they would be concerned if anyone found out they were seeking mental health treatment, and only 20% said the stigma would keep them from seeking help. The National Alliance of Mental Illness, or NAMI, says society is changing. In fact, in an article by Dr. Bernice Pescosolido called ‘The Stigma Complex’, published in The Annual Review of Sociology 2015, she says Americans are finally understanding that mental health issues are simply brain disorders and need not be stigmatized. She wrote that while society doesn’t change quickly, it will change, we just have to stay the course and continue to educate people and continue to try and raise awareness of these issues. More Americans are finding it easier to seek treatment because of the Affordable Care Act. To date the Obama Administration has provided the largest expansion of insurance coverage for behavioral health services; this has been made possible by the Affordable Care Act and the Mental Health Parity and Addiction Equity Act. These acts have helped to increase access to mental health services for all segments of society. It has provided Americans who experience mental and substance use disorders with treatment and services that have transformed and revitalized their lives. Sites such as ‘No More Stigma’ and ‘No Stigmas’ on social media are helping reduce the stigma, allowing people to come together and see mental health is no joke; these sites allow sufferers to know they are not alone and that there is no shame in mental health disorders. There are a variety of treatment options available to those who need it. From mental health outpatient treatment centers where patients come and go, to mental health residential treatment centers where patients live for a specified period of time and receive supervised care around the clock; these residential treatment settings offer more intense benefits than multiple outpatient sessions each week. However, residential settings are less intensive and less restrictive than mental health inpatient treatment centers. Is Gambling a Medical Addiction? Gambling can be a lot of fun, when enjoying in moderation, of course, pretty much like every other source of pleasure. People have always been aware of the dangers of gambling too much or too often, but it seems that nowadays, the awareness of compulsive gambling is higher than ever. Casino operators cooperate with other independent bodies, trusts, government and non-governmental organizations in order to tackle problem gambling and especially compulsive gambling. Check out this responsible gambling guide if you want to know how to recognize and how to avoid becoming a problem gambler. We all think that we can recognize when someone has a gambling problem, but it is not as easy as it may seem. Gamblers are often not aware themselves and don’t realize who serious things are. There is a part of the brain that is believed to play a role in gambling addiction and it is called the insula. Whenever a person has a hyperactive insula they are prone to compulsive gambling. 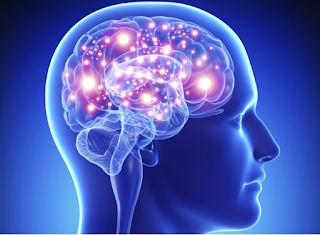 The activity of the insula can give a person an unrealistic view on what is going on. Those people tend to see regularities in arbitrary sequences of number and they are convinced that they can predict outcomes which they can’t possibly do. A gambling addiction makes the addicted person react to gambling just like an alcoholic reacts to a drink. Just like with alcoholism, there are people who have a natural tendency to become gamblers. The more they gamble the more likely it is for them to become addicted. However, if they learn how to control themselves, they may overcome the addition. So, in short, it is a medical addiction. Moderate gambling, wagering and all other forms of risking a small amount of money for an opportunity to earn more, is accepted. It is fun, it is a social activity and there is nothing wrong with it. But addictive, compulsive gambling hurts not only the person’s financial well-being, but also their personal relationships and their general well-being. Addicted gamblers tend to be depressed and gambling often causes them to lose their job and/or partner. The story of Justyn Rees Larcombe who lost three quarters of a million, shows just how serious gambling problems can be. Fortunately, like all other addictions gambling can also be treated and cured. Sure, there are many people who are addicted to gambling, but there are even more who are able to gamble in moderation, have fun and still not suffer financial or other losses. There are several approaches that can help cure compulsive gambling. Organizations like Gamblers Anonymous, GambleAware, GamCare and few other have a lot of programs that help people with a gambling addiction. • Postponing other commitments in order to gamble. • Being obsessed with gambling and using every opportunity to engage in some form of gambling. • Constantly stating “I can give up whenever I want, I just don’t feel like it right now”, and “I am going to get very lucky soon, I can feel it”. • Lying about gambling and their gambling habits. • Feeling guilty about gambling, but not being able to stop it. • Spending money that was planned for something else on gambling. Gamblers often lose their possessions, including their houses and cars, because they sell them in order to have more gambling money available. Remember that the frequency is not the only indicative of a gambling habit. 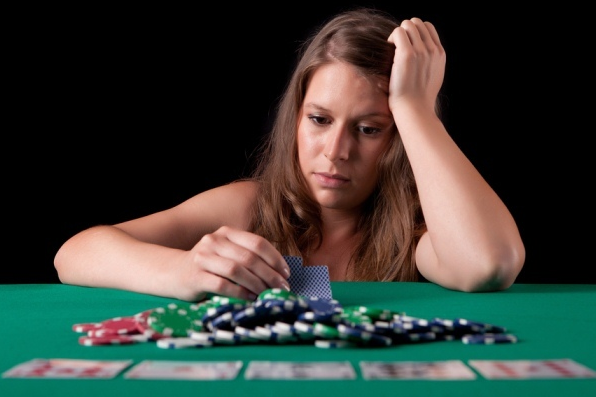 Some people may gamble more frequently without being addicted. The strongest indication is not being able to stop once you start gambling. There’s more than one method to treat problem gambling and they could be combined. The first important step, and probably the most difficult one for every person with an addiction is to stop gambling altogether, at least for a certain period of time. That is why most operators nowadays offer self-exclusions that can last from several months up to few years. • People whose problems are very serious may enter a treatment programme at a rehabilitation centre. That measure should be a last resort only and most people would be able to cure their gambling addiction without staying a facility. • Psychological and regular medical therapy in combination with other hobbies and activities that will take their mind off gambling is a viable option. Patients will still be able to function normally and do their everyday chores. • Gamblers Anonymous has its own 12-step program which might be helpful as well. People meet other people who have the same problem and together they fight to overcome the addiction. • In some cases the gambling addiction is caused by another mental illness or condition and in such cases it is essential for the person to take the prescribed medication regularly, as that will not only help them with their condition, but it may also lead to overcoming the gambling addiction. • Gambling condition like other conditions is a state of the mind and the reasons why people resort to gambling are mostly psychological. It takes a lot of willpower and determination to be able to defeat the problem and the help from friends and family is essential. Addicts should always be honest with their close ones. For most cancer patients, early detection and timely treatment is usually enough to contain or even end the problem. However, after treatment, there are those who may end up experiencing swollen limbs (either legs or hands). This usually happens due to a condition known as lymphoedema, which is caused by accumulation of lymph in tissues. The consequences of this rarely-talked-about problem can be dire. The swelling can significantly alter one’s physical appearance and even paralyze them psychologically and physically. Such is the story of Sharne Willoughby, a cervical cancer survivor who shared her experience with the debilitating problem in a recent interview. “I was unable to work full time, moving was difficult. It was debilitating, both physically and emotionally. I felt uncomfortable around people” said Sharne Willoughby. The 46 year old talked about her struggles with a problem that only seemed to get worse by the day. How she battled low self-esteem. How she struggled accomplishing daily tasks. And finally, how she triumphed amidst all odds – all thanks to liposuction surgery. Liposuction is an excisional procedure through which fatty tissue is removed from under the skin using a vacuum tube. In the case of lymphoedema, the fat tissue is not the only one removed but also the swollen lymph vessels that are embedded on it. The decrease in the volume of fat cells can reduce the swelling because the lesser the size of fatty tissue there is, the lesser the fluid it retains. It’s a delicate procedure that is only handled by trained surgeons (do your research and preferably choose a clinic with positive reviews). And while it is highly effective, the surgery should be limited to cases where the excess tissue is comprised of adipose tissue, which is often the case in the late stage of lymphoedema. Scientific literature suggest that large amounts of excess tissue can be removed when liposuction is performed correctly. In addition, the incidence of bacterial infection can be reduced by up to 75%. Lipo is considered safe, effective and minimally invasive. It makes a very tiny incision to the skin through which the excess liquid is sucked out. And although that alone may not entirely eliminate the problem, it can control lymphoedema to manageable levels. One good thing with lipo is that it is an outpatient procedure. You can be up and about in just a few hours after the surgery. To top it up, the results are apparent immediately after. Usually, the swelling reduces and normal movement is restored within days. Bruising and scarring are the main side effects of liposuction. The incision, which is just about a quarter of an inch long can be painful in the first few days but it is gone in several weeks’ time. Also, one may need to wear a compression sleeve to prevent lymphoedema from coming back in the long term. On the flip-side, though, the liposuction costs can be prohibitive. In addition to the procedure itself, you may need to pay various fees including medications, surgical garments and appropriate medical test fees. However, considering the great benefits it provides to cancer survivors, the cost is definitely worth paying. Taking care of your skin is vital, because it reduces the risk of developing an infection such as cellulitis. Lymphoedema can damage your limb muscles. It is therefore important to devise a movement and exercise plan to help strengthen the tissues involved in lymph drainage. Exercise may involve limb exercises alongside gentle activities that encourage whole body movement such as walking and swimming. You can use self-massage techniques in addition to manual lymphatic drainage (MLD) which are usually carried out by a therapist. Specialized massage routines can play a huge role during the maintenance phase of recovery, to help avert long-term effects of lymphoedema. If left unattended, lymphoedema can significantly affect your day-to-day life and ruin your self-esteem. The condition can impair your physical movement and even cause a skin infection. Fortunately, like in the case of Sharne Willoughby, there is a scientific way to manage the problem – and that is through liposuction. That’s the kind of hope cancer survivors need to overcome all odds. Perhaps the least-discussed topic in addiction recovery is the process of handling withdrawal. As a person's body begins to adapt to functioning without the presence of drugs or alcohol, there can be a very painful process of readjusting to a chemical-free life. Withdrawal can be the strongest force drawing an addict back to substance abuse. The pain is real, and the misery is so deep that even the strongest willpower can give way simply in search of relief from the withdrawal symptoms. When a person is making progress in a 12-step or other program to conquer addiction, withdrawal must be managed to help solidify the gains being made. If these symptoms are left untreated, the entire process can fail. 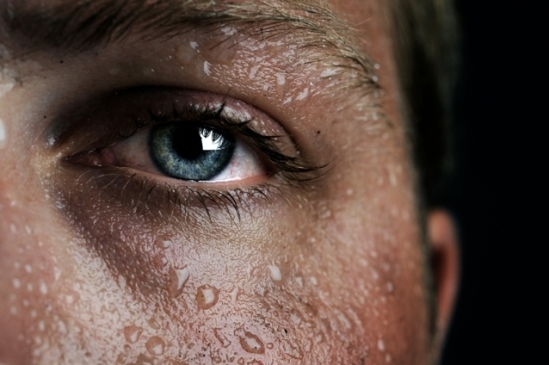 There are several ways that addicts can combat withdrawal symptoms. The most important thing throughout the entire withdrawal process--both acutely and over the long term--is to make sure that health is monitored and maintained. Because withdrawal can last for months, there may be multiple withdrawal episodes that require medical care. Bear in mind that most addictive substances being dealt with today are not conducive to "cold turkey" treatment. Cigarettes and other milder addictions can largely be conquered with this mental approach, but opioids and many other hard narcotics have chemical triggers that cannot be overcome with sheer willpower. As a result, certain medical interventions may be needed to treat withdrawal effectively and keep recovery on track. Because most people take on a very poor diet while in the throes of a chemical addiction, most are badly malnourished. As recovery begins, the addict needs every bit of strength available to be able to withstand the withdrawal process, as well as to maintain the energy needed to sustain the psychological elements of recovery. Eating a diet with appropriate levels of needed nutrients and adequate fiber, water, and vitamins can be very helpful. Proper hydration and fiber intake encourage good excretory function, which in turns helps to eliminate substances of addiction from the body. Vitamins and minerals help improve overall health so that the person is as strong as possible in this battle for life. The combination of a balanced diet and therapy for the psychological demands of recovery can give a person a good chance at sustaining the withdrawal process. Often it's simply the need to get the addict's mind off the withdrawal symptoms that is necessary to get through the process. Obviously, it takes more than a crossword puzzle or a game of Frisbee, but an activity that requires a lot of concentration and activity can do wonders for helping the person push through. And exercise in between withdrawal flare-ups can strengthen the body to fortify it for the next episode. It doesn't take intense exercise if the person is unable to do it. Yoga, stretching, or simple aerobics can be enough. These activities build physical strength, improve cardiovascular health, and pull mental focus away from addiction and onto something more constructive. Withdrawal is an inescapable process. For some people, it can be incredibly difficult. A good detox process and a strong recovery program, accompanied by skilled medical monitoring, can help the addict conquer all the powerful side effects of overcoming addiction. The key is to find what works and to stick with it.